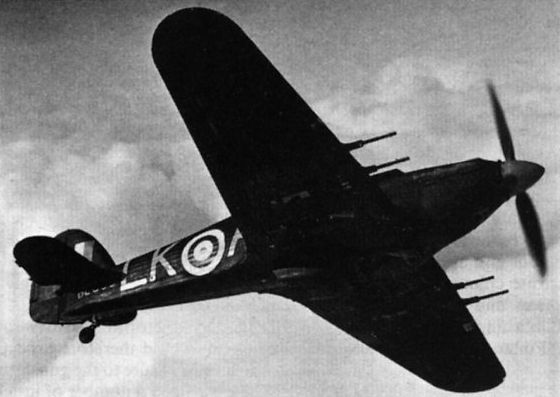 A Hurricane IIC serving as an interim night fighter. 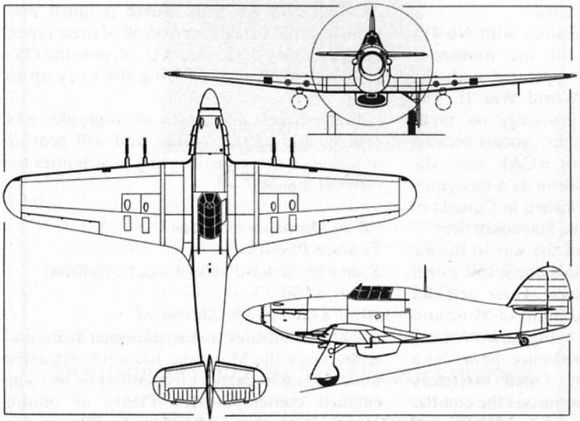 The general arrangement drawing below depicts the Hurricane IIC which entered RAF service during the course of 1941. A Sea Hurricane IB picking up the arrester wires. 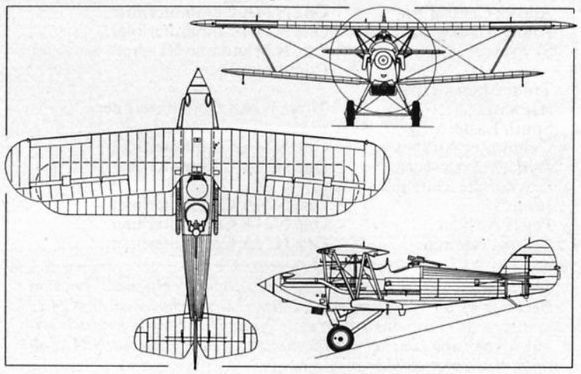 The Demon was the first two-seat fighter to be introduced by the RAF since WWI and was essentially a derivative of the Hart light bomber. 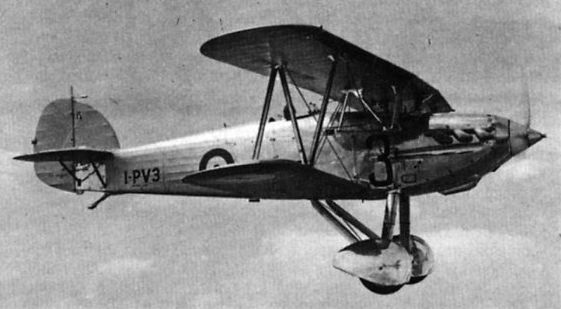 Developed to meet a requirement for a four-gun day and night fighter, the P.V.3 was overtaken by the Hurricane, only a single prototype being built.